I think of Maxi dresses and I think spring/summer and fun. Those of us who lives in certain parts of the Northern Hemisphere need summer fun thoughts for all this cold and snow. So let's put our thoughts toward that. That is just a small sampling of Maxi Dresses in RTW and patterns available, which there are many patterns out there. Just take a look at Butterick, McCall's, Vogue, Simplicity, New Look and Burda to get the ideas flowing. Happy sewing and hurry up spring! Thanks for the time you put into these inspirations ! Great match up! 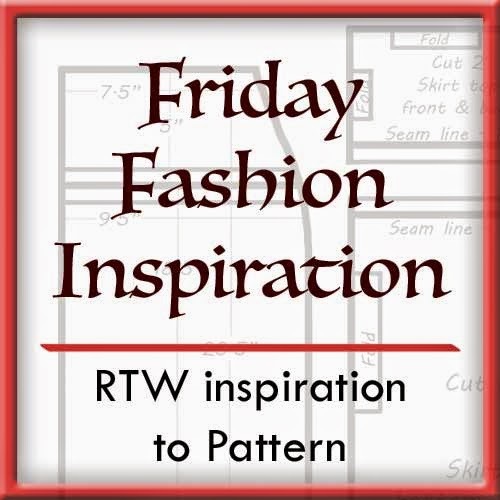 You can find just about anything from RTW in our lovely pattern selection! I love these dresses! Thank you for the ideas! Thanks for the maxi inspirations - I really need to get sewing on all my projects! So many great new patterns for Spring!! Great Dresses. Even in Florida, the weather is cold (for us). Thanks for the touch of Spring/Summer. I'm looking forward to warmer weather. That Michael Kors is sweet. I have that pattern too, this was a great find. Thanks for the suggestions.